Frédérique Molay graduated from France’s prestigious Science Po and began her career in politics and the French administration. She worked as Chief of Staff for the Deputy Mayor of Saint-Germain-en-Laye, and then was elected to the local government in Saône-et-Loire. Meanwhile, she spent her nights pursing a passion for writing she had nourished since she wrote her first novel at the age of eleven. After The 7th Woman took France by storm, Frédérique Molay dedicated her life to writing and raising her three children. She has five books to her name, with three in the Chief Inspector Nico Sirsky series. There’s no rest for Paris’s top criminal investigation division, La Crim’. Who is preying on women in the French capital? How can he kill again and again without leaving any clues? A serial killer is taking pleasure in a macabre ritual that leaves the police on tenterhooks. Chief of Police Nico Sirsky—a super cop with a modern-day real life, including an ex-wife, a teenage son and a budding love story—races against the clock to solve the murders as they get closer and closer to his inner circle. Will he resist the pressure? The story grabs you by the throat and doesn’t let go until the last page, leading you behind the scenes with the French police and into the coroner’s office. 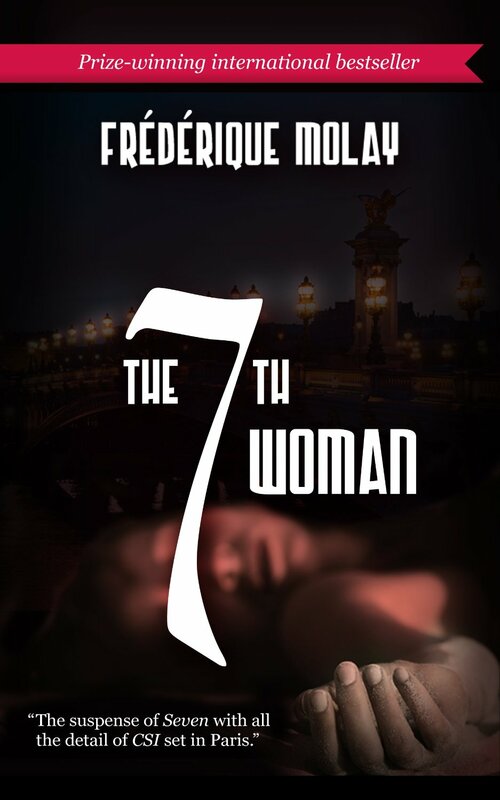 It has the suspense of Seven, with CSI-like details, giving a whole new dimension to Paris. This entry was posted on August 24, 2013, in Book Reviews, Reading. Bookmark the permalink.